Research of archaeological excavation sites by remote sensing via satellites and 3D reconstruction of findings are seen important for not only recording of the cultural heritage in that area but also presentation of findings in public places such as museums. Remote sensing is being used especially in the surface surveying with spectral and spatial high resolution mapping in order to detect differences between surface distinction for different scale of archaeology for context mapping, showing and categorizing finding places, modeling of terrain and reconstruction of ruins. With integration of images which are obtained from these fields and Geographical Information Systems and GPS satellites it is possible to record future excavations and protect cultural heritage. Telecommunication and ICT (Information and Communications Technology) have big roles from finding excavation sites via satellites to imaging findings via electronic scanning. 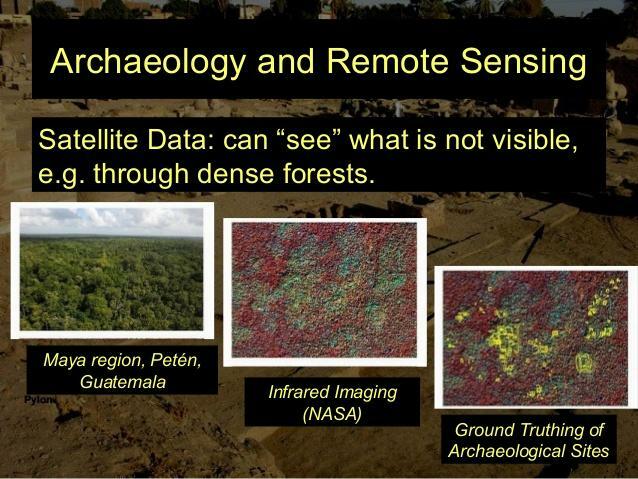 Evaluation of data obtained from remote sensing via satellites,convergence between ICT and archaeology are discussed. 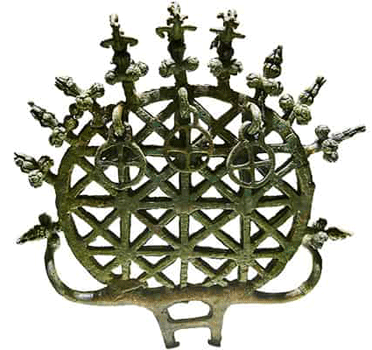 The use of satellites in archeology has increased even more in recent years. The chart below excavation costs per hectare compared to the cost of normal excavation is 100,000 €. With Ikonos satellite, CASI (Compact Aerial Spectrographic Imager) method, thermal infrared detection method and Corona satellite, the cost goes down to € 10.